Home » Goldsmith Machines & equipment » PRECIOUS METALS REFINING EQUIPMENT, PLANTS , KNOW HOW AND TECHNOLOGY. » Scrubbing towers for acid fumes cleaning. 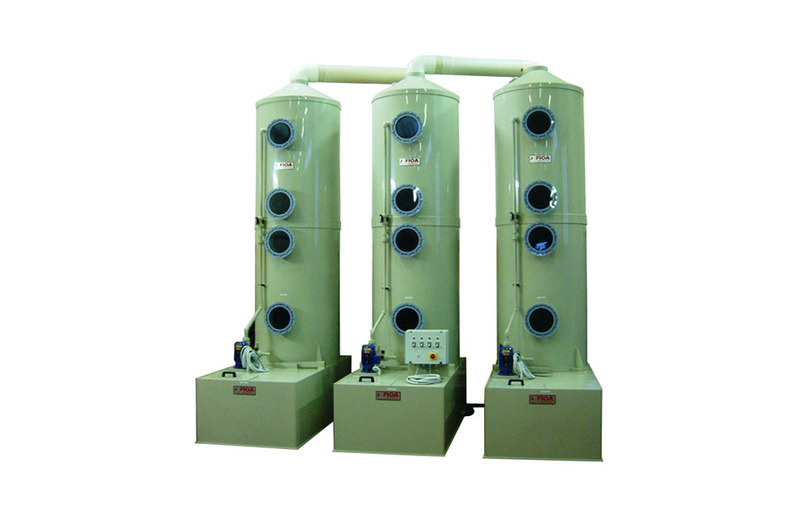 » 3 towers scrubbering unit for acid fumes cleaning ø 1000 cod:733933.